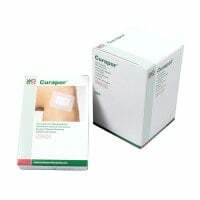 Bandages allow for quick and uncomplicated treatment of smaller wounds and injuries, such as light cuts or scrapes. 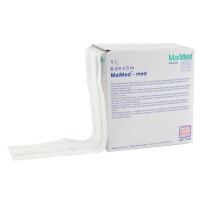 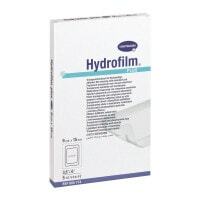 Whether you need sterile wound dressings or non-sterile plaster, our online shop helps you find the proper wound cover for trival injuries of various types and sizes. 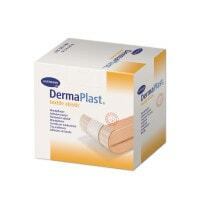 Bandages are usually composed of a combination of a wound cover and an adhesive plaster. 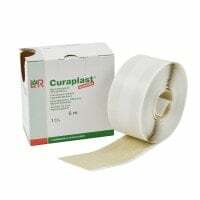 These practical, wound treatment plasters are especially well suited for treating minor injuries, such as scrapes and small cuts or punctures, but they are not sterile. 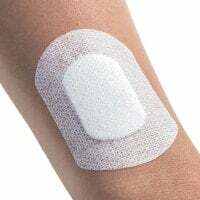 With larger injuries, wound dressings are applied, instead of bandages, in order to protect the wound from contact with germs. 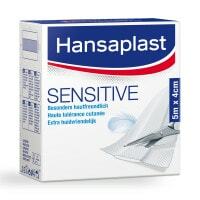 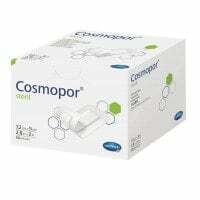 In our assortment, you will find a wide range of bandages and plasters from renowned manufacturers and brands, such as Cosmopor from Hartmann, Hansaplast from BSN medical or Vliwasorb adhesive from Lohmann-Rauscher. 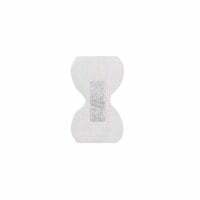 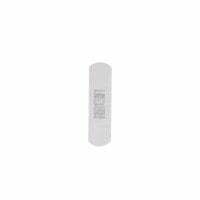 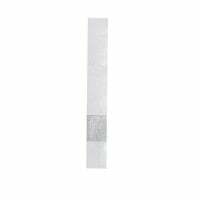 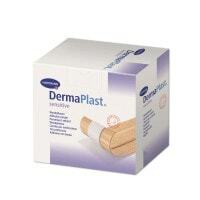 Depending on the type and size of the wound, plasters are available with various specifications. 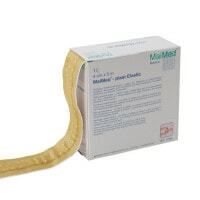 In addition to classic plaster, there is also elastic plaster, for treating wounds on moving body parts, or hypoallergenic sensitive plaster for patients with particularly sensitive skin. 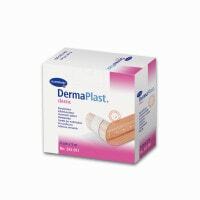 Plasters, for professional use, are typically available on rolls. 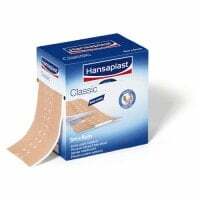 These plasters can then be cut individually. 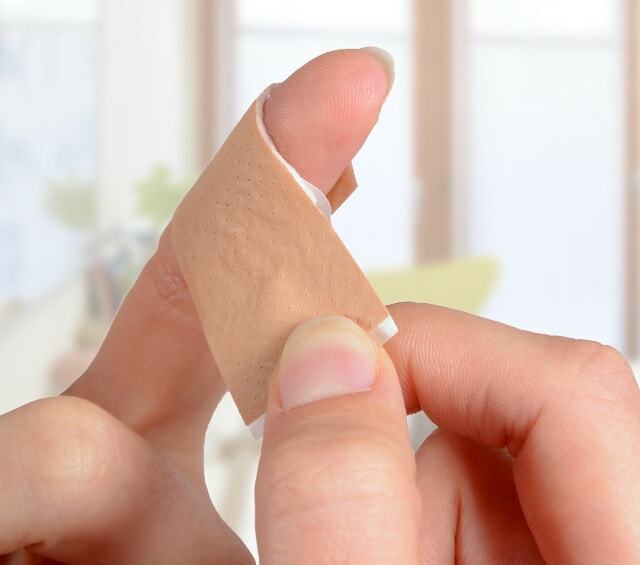 For people working in food stuff industries, there are detectable plasters, which have an intense blue colour and contain metal strips, making them very easy to detect. 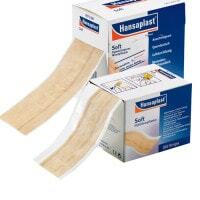 You are sure to buy the proper bandages and plasters for affordable prices, at Praxisdienst. 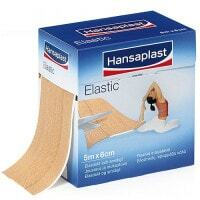 Do you have questions surrounding the themes of bandages, plaster, wraps or other dressing materials on display? 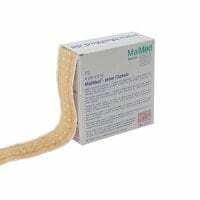 Our customer service will gladly assist - just talk to us!